Automated home security systems are a strong defense that is only growing stronger as we become more interconnected with smart technology and devices. Many home security systems not only offer remote alerts and status updates but they also give you the capability of changing your security settings and connected home utilities and appliances at the push of a button. This, in combination with home security footage being stored in the cloud, means that you can access security footage from anywhere and make changes as a result of that footage from your office or while on vacation. What are the advantages of being able to access your security systems from anywhere? No more nagging worries: There’s a chance that your door can be left unlocked or even slightly ajar, and in the past, this meant either turning around during your morning commute to double-check your locks or spending the whole day worrying. But with a security system that offers access from anywhere, you can not only check the status of your locks remotely but you can even lock the door from your office. Double check on alerts: At their most basic, security system monitor a home for a specific list of changes. 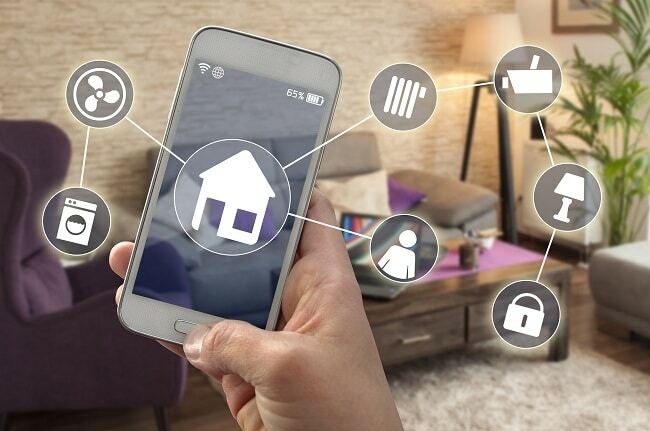 Because of increased interconnectivity between all of your home systems and the security system, that list has grown to include everything from an opening window to lights being turned on when no one should be home. However, these changes aren’t always a sign that your home has been broken into and can be innocuous. Instead of spending your day worrying about what an alert really means, you can open up your home security feed and get answers immediately. Fort Knox Security Services focuses on giving you as many options as possible when it comes to your home security. Accessing home security footage from anywhere gives you direct insight and peace of mind when it comes to your family and home. If you’d like to learn more about our home security services, please contact us here.